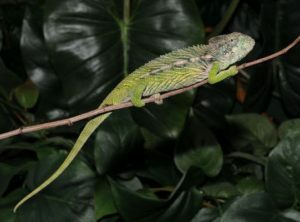 We have a handful of Giant Spiny Verrucosus Chameleons for sale. Verrucosus Chameleons come in a few color varieties of red, blue, and green. Verrucosus are very well distributed chameleon species in Madagascar. Their care is similar to that of a Panther Chameleon. They prefer temperatures in the low 80’s and are a very hardy species.